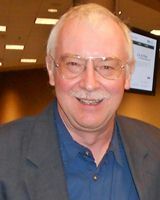 Paul Du Bois has worked as an independent consultant in the field of industrial application of large scale numerical simulations since September 1987. He has specialized in the application of explicit integration techniques for crashworthiness and impact problems. Among Paul’s customers are most of the world’s automotive assemblers such as Daimler, GM, Ford, Opel, Fiat, Porsche, Volvo, PSA, Renault, Toyota, Nissan, Honda, Hyundai and many others including automotive suppliers and design and engineering companies. Paul’s more recent projects include a Daimler sponsored development of a generalized plasticity law for the simulation of plastics and the formulation of a tabulated hyper-elastic material law with damage for the simulation of rubber and foam. He was involved with the joint research organization of the German automotive industry, FAT, in the working groups: ‘Side Impact Dummies’ from 1992 through 1997 and ‘Foam Materials’ (1996 until 2009). In 2003, Paul was asked by LSTC to perform a training mission at the Russian national laboratory in Snezinskh. "SImplified Rubber Material Model for Dynamic Loading Applications"
"The Influence of Permanent Volumetric Deformation on the Reduction of the Load Bearing Capability of Plastic Components"
"A semi-analytical model for polymers subjected to high strain rates"
"A Simplified Approach for Strain-Rate Dependent Hyperelastic Materials with Damage"
"Accuracy Issues in the Simulation of Quasi-Static Experiments for the Purpose of Mesh Regularization"
"A Comparative Review of Damage and Failure Models and a Tabulated Generalization"
"A Constitutive Formulation for Polymers Subjected to High Strain Rates"
"Experimental and Numerical Investigation of Fracture in Aluminium"
"Development of Material Input Data for Solid Elements under Crash Loads"
"Nonlinear viscoelastic modeling for foams"
"A Material Model for Transversely Anisotropic Crushable Foams in LS-DYNA"
"Verification and Validation of a Three-Dimensional Generalized Composite Material Model"
"Theoretical Development of an Orthotropic Elasto-Plastic Generalized Composite Material Model"
"Development, implementation and Validation of 3-D Failure Model for Aluminium 2024 for High Speed Impact Applications"